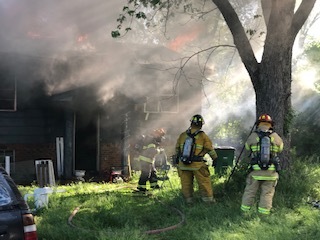 A home in Harrison was destroyed by fire and a woman was injured on Monday morning. At 8:45 am, a 911 call was made reporting a fire in a bedroom. Highway 58 firefighters found the nearest fire hydrant 2,200 feet away from the burning structure. 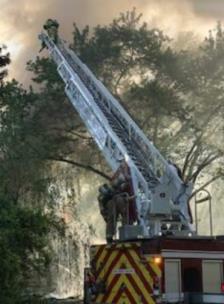 The Highway 58 VFD requested a mutual aid response for apparatus and manpower. 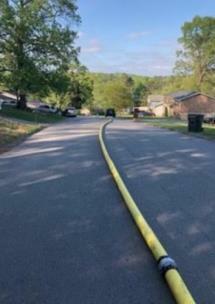 The Chattanooga Fire Department and Tri-Community VFD responded to the scene. Firefighters worked quickly lay 2,200 feet of hose line to get water on the burning structure. 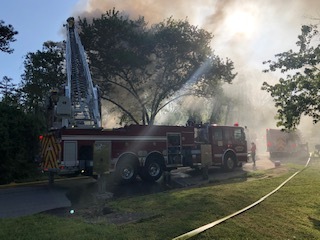 Fire officials reported three people escaped the home. Two adults escaped with no injuries. One woman, 66, was injured and sustained airway burns. HCEMS transported the patient to Erlanger Medical Center. The cause of the fire is undetermined and will be under investigation by the Hamilton County Sheriff’s Office. The home is a total loss and valued at $100,000. The American Red Cross will be assisting the family with their emergency needs.